Imagine it’s 1994, you’re in the UK and you hear a young Liam Gallagher over the radio saying that Oasis will soon be the world’s biggest band. It’s arrogant, sure, especially because you’ve never heard of these guys before. You chuckle to yourself and change the station. Then without warning, Oasis’ first two singles hit the charts and “Live Forever” makes the Top 10. Their debut album, Definitely Maybe, finally arrives, and it goes straight to #1, amassing critical acclaim in the process. Suddenly, Liam’s remark seemed more like a promise than a boast. Now imagine that scenario, but with none of the singles charting at all, a lawsuit forcing the band’s name to change, and most of the initial buzz turning into critical lashings and public scorn. Enter Viva Brother, a four-piece group from Slough who not only try to conjure the sound of Cool Britannia but its sense of style, right down to the round Lennon glasses and paisley shirts. They’ve made it clear in interviews that after digesting a healthy diet of bands like Blur and the Stone Roses, they were ready to conquer the world, announcing they were the “future of music.” Heady aspirations, especially for simple revivalists. The thing is, saying that they “conjure the sound of Cool Britannia” isn’t entirely accurate because on the group’s debut, Famous First Words, they don’t so much borrow from their Britpop heroes as ape them completely. They even somehow managed to rope in longtime Blur producer Stephen Street, but not even he could save this material, which never rises above the level of “listenable.” Street’s presence may give the impression they are trying to make their own Modern Life Is Rubbish or Parklife, but save for a few Graham Coxon-styled guitar leads and vocal tics, Viva Brother most strongly resemble Oasis. Every track here is an anthem meant to be sung by football crowds, even if the band’s guitars aren’t as humongous as that famed Manchester group. However, this is Oasis without the swagger, style or even the tunes (though it’s not for their lack of trying). Everything feels forced: singer Lee Newell puts a lot of effort into sounding cool yet lacks Liam Gallagher’s effortless sneering personality, and without that showmanship, the generic chugging guitar in the background falls flat. 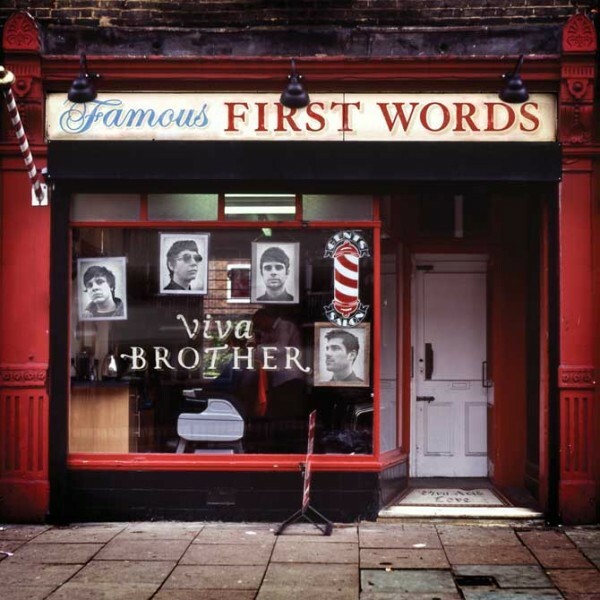 Lyrically, Famous First Words is perhaps even more embarrassing. Nothing here even touches depth, so to make up for it, you would think they would at least have the good sense to write something that sounds stylish and clever—after all, Noel Gallagher made a career on it. But no, Viva Brother falter again, shoving together cliché after cliché with zero grace. When “New Years Day” is just a mess of stupid non-sequiturs and the hook to “High Street Low Lives” (“This is real/And I’m free/This is what I want to be/’cause life’s too short/and I’m too high/and nobody’s getting out alive!”) is laughably trite, you begin to wonder if they’re actually parodying Oasis’ laddism. Meanwhile, they attempt a Damon Albarn-esque character study on “David.” But when the most interesting thing they have to say about him is that he didn’t mind getting into a car accident, you realize this is no “Colin Zeal” or “Tracy Jacks.” Sure, there are a few fetching melodies and riffs that pop up every once in a while, and Famous First Words may attract a few people who want something to sing along with in a car or wherever, but when this exact sound has been done so much better so many times over, you’re left with one question: What’s the point? 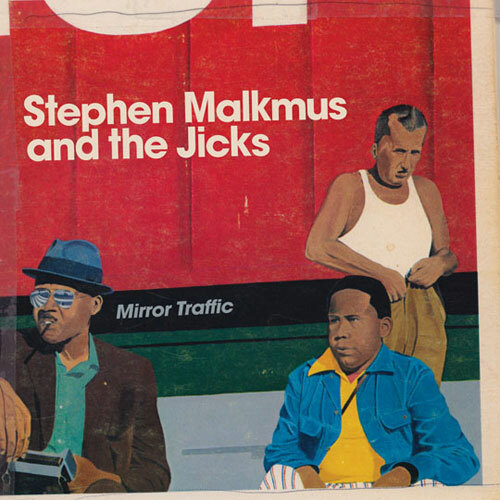 After the propulsive yet jammy Real Emotional Trash, it seemed Stephen Malkmus began to pine for his past, getting back together with Pavement for an international tour in 2010 and entering the studio with fellow California slacker icon Beck to record the Jicks’ follow-up, Mirror Traffic. As much as Malkmus might reflect on his career circa 1994, though, he’s nearly two decades older, and this isn’t some forced attempt to seem younger. Just like Beck, he’s aging gracefully, so even though his music is informed by his past, it’s not as rough and fractured, bearing the craftsmanship of someone who’s been at this for a while. Likewise, Mirror Traffic ends up sounding like a more mature take on Crooked Rain, Crooked Rain or Wowee Zowee, where fuzzy garage rock, buzzed-out ballads, warm country overtones and other shifts in style all play off each other harmoniously. For his part, Beck doesn’t so much add elements in as take them away, reigning in Malkmus’ excessive tendencies and letting his songwriting stand as is. Good thing too, because Mirror Traffic‘s songs have a casual, friendly charm, a smile rather than a smirk, something that too much complexity would ruin. Though the shifts in style and tone here aren’t as wild or diverse as Crooked Rain or Wowee, Mirror Traffic retains those albums’ freewheeling spirit. But it’s the songs’ charm and casualness that bind together the album, making the jumps between the sun-kissed opener “Tigers,” the lovely, finger-plucked “No One Is (As I Are Be)” and the rollicking “Senator” feel natural. There aren’t enough jaw-dropping moments on here to make this album feel like a real career highlight for Malkmus, but it’s a tribute to the man’s skill that even the more disposable songs on here like “Long Hard Book” and the spastic “Spazz” are thoroughly well-crafted and listenable. If at 15 songs and 50 minutes, the record feels a little overlong—lopping off 3 or 4 songs would have made this a tighter set—it’s never a laborious listen. Instead, Mirror Traffic is consistently relaxed and playful yet, thanks to Beck’s punchy production, never formless. Moreover, it finally sounds like Malkmus found that “range life” he sang about all those years ago, and though it likely won’t win him new fans, Traffic is an approachable and tender album, one that is quietly satisfying. Few British bands are as restless as the Horrors. After gaining notoriety for the over-the-top spookhouse garage rock of their debut, they shifted gears to a mix of gloomy post-punk and shoegaze for their acclaimed follow-up, Primary Colours. So where to go now? They could have understandably taken a record to catch their breath, releasing another set of songs within that same formula, but the Horrors refuse to be pigeonholed. 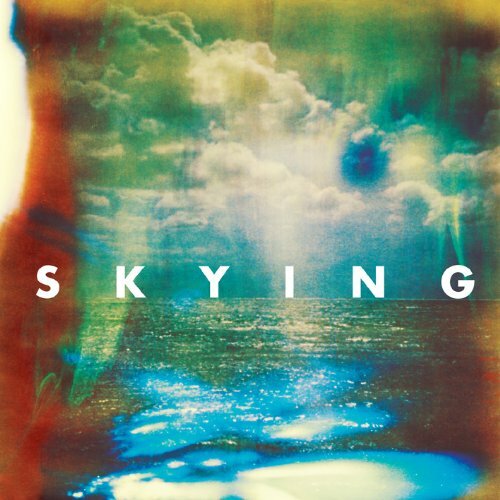 Out comes 2011’s Skying, a dreamy, danceable thing that’s brighter and more blissful than anything they’ve ever recorded. Sure, some remnants of Primary Colours‘ shoegazing remain, but that’s mostly in Skying‘s dazzling, swirling production, not so much in its songs or approach. Instead, the Horrors explore a different side of the band’s personality—the side that has a fondness for Psychedelic Furs-esque dance-rock as well as the baggy and Madchester scene. It’s a record full of strong melodies and blurry vocals all driven home with plenty of funky drumbeats, washes of synths and guitars and more effects pedals than you even feel like counting. This may sound like the legions of revivalist groups who’ve been conjuring up the late ’80s and early ’90s lately but to lump this album in with those would be a grave mistake. What propels Skying above its peers is the Horrors’ uncanny sense of songcraft, pure and simple. The Horrors are unafraid to take their time with these songs, pushing tracks like “Moving Further Away” into the stratosphere with trance-inducing jams. Refusing to take the two-minute pop song route ends up paying dividends for the group where it would be the downfall for others. They know just when to add a new element or repeat another, letting the melodies seep into your brain till they won’t leave. 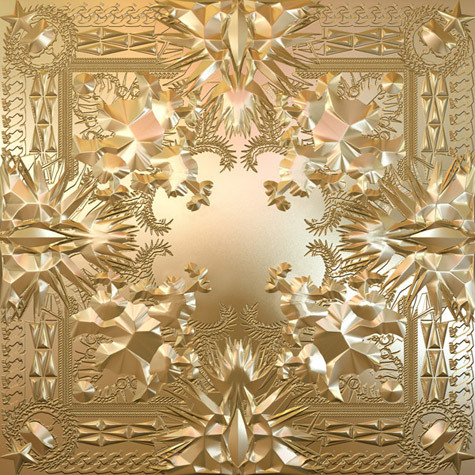 It makes for consistently compelling listening, whether it smashes into a rousing, fist-pumping anthem like “I Can See Through You” or lulls you into a daze with a splash of effects like on “Still Life.” Elsewhere, “Endless Blue” surprisingly shifts from sweet spaciness to grungy riffing, while “Monica Gems” reigns in the baggy tendencies for a straight rocker, well at least straighter than the rest of the record. The album’s lack of truly brilliant moments may keep it from ascending to the heady levels of their inspirations, but Skying is a great record by any measure, though here’s my betting that the Horrors’ next album will sound nothing like it. Thurston Moore and Beck have long admired each other’s work, and the two of them make such a perfect fit that it’s hard to imagine they haven’t collaborated before. One imagines they’ve wanted to but haven’t had the time. After all, even when they aren’t recording their own work, they are producing, directing, writing music for soundtracks, collaborating with others and otherwise being the multi-talented artists they are. 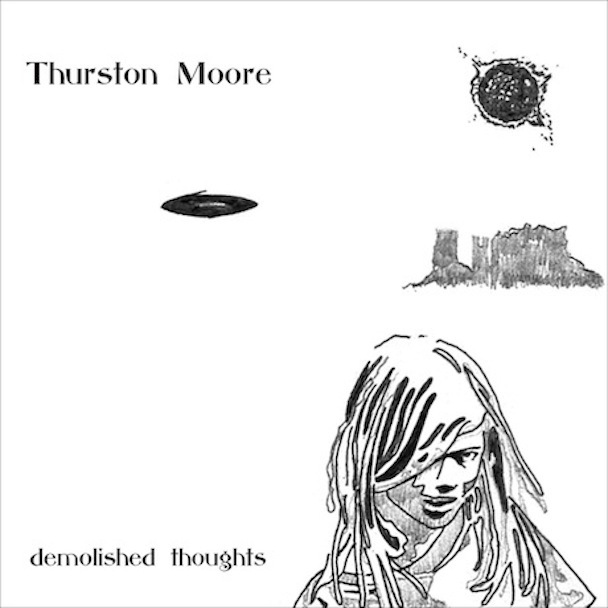 But for such busy people, Moore’s third solo album, the Beck-produced Demolished Thoughts, is a carefully considered, often gentle, piece of acoustic chamber psychedelia. Moore has worked with these moods before, particularly in his ’90s work with Sonic Youth, but Beck does here what Nigel Godrich did for his own folkier records—he fleshes these songs out, giving them more depth and a more expansive feel than they would otherwise have. Moore’s songs are swaying and wistful by themselves, even when he plays atonal acoustic riffs or branches off into extended jams, but Beck brings in twinkling harps, shimmering synths and gorgeous string sections, among other subtler touches, that embellish the record’s trippy feel. Yet all of this would simply be ornamentation without Moore’s songs, which succeed far more often than not. “Benediction” is achingly beautiful, highlighting his intricate guitar work and sighing vocals; “Illuminine” and “In Silver Rain With A Paper Key” have a drowsy flow; “Circulation”‘s thundering choruses and atonal riffs rail against the stately arrangements of the rest of the record. Despite the prettiness, Moore isn’t afraid to slip into dissonance and drone now and again, especially on “Orchard Street” and “Space,” which almost begin to feel like MTV Unplugged: Sonic Youth. If Demolished Thoughts sometimes begins to sound same-y, there’s enough beauty in the less memorable moments to make it all worth it. All in all, it’s a record that should appeal not only to Moore’s following but fans of thoughtful, low-key rock.